Hair Day reccomendations are based on more than 50,000 verified customer reviews and experiences. We never reccomend a pair of straighteners we haven't personally experienced and tested. You can rest assured that the straighteners you choose to buy will meet Hair Days standards. This research is supported by our readers, you, through our independently chosen links. If you would like to read more about how we are supported then read here. Sometimes when people have short hair you automatically think it just needs washing and drying as there not much to do with it but your wrong there is so many popular styles that you can create with a pair of straighteners even on short hair, all you need is the right pair of straighteners. The most popular straighteners that are suitable for short hair, are plates that come in sizes smaller than 1 inch. Typically this would be best for your short hair as these style of straightener allows you to get very close to the scalp. This works for both thick and fine short hair whether you want straight or curly hair. Short, fine hair requires you to be able to control the amount of heat you are putting on it, so smaller plates are better with temperture control. Thick hair that’s short often requires slow movement and consistent heat which can be better controlled with small plates but that can reach a higher temperture. Plates that range from 0.5 inch to 0.75 inch are considered small, and these are generally used for precision. Small irons mean straightening small sections, and problem hair often responds better to this process whilst also holding the style for longer. If you have the opposite and have long thick hair then maybe you would like to read our review. One thing I automatically liked about the C3 straighteners is the wide array of zany patterns and colours you can choose from. Especially the Corioliss C3 Rose Gold Hair Straightener looks very stylish and professional. 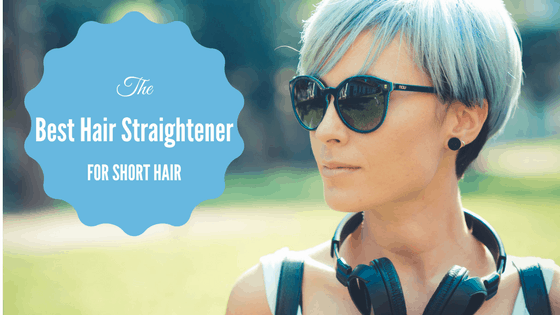 The lightweight and slimline design of the straightener is very easy to handle. The extra-long plates allow for bigger sections of hair to be styled in one go, which could easily reduce your average styling time by half. I would recommend these straighteners to pretty much everyone with any type of short hair- the broad range of temperatures mean that the straighteners are suitable for practically every hair type- no matter how fine or thick. 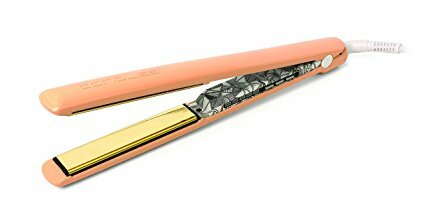 This luxury tool performs professionally although is a mini straightener designed for travelling. This is one of the best cordless hair straighteners we have found yet, this product is also great for shorter hair types. Great for straightening right from the root, which is especially needed for shorter hair getting right up to the roots. It’s also great for on the go so that you can keep your style all throughout the day no matter where you stop to touch up your hair on your travels. The rounded barrel of the ghd mini styler means it’s easy to create curls, waves and flicks and of course thanks to ceramic heaters and contoured plates you can glide through hair for smoother, snag-free styling. Perfect for men and women this TONI&GUY Slim Definer 15 mm Straightener creates definition where needed and straightens the shortest of pixie crops. Developed as part of the TONI&GUY Creative Collection, the narrow plates ensure this straightener is versatile enough to be the ultimate unisex styling tool. TONI&GUY Salon Tested Professional Performance is guaranteed, with a 3 m salon length cord for ultimate styling freedom. TONI&GUY Creative Slim Definer has narrow 15 mm plates, for creating definition where needed and straightens the shortest of pixie crops. The controls sit on the inside of the handle meaning that you don't knock them whilst in use, which is a good design feature. Overall customers feel these are great value for money! 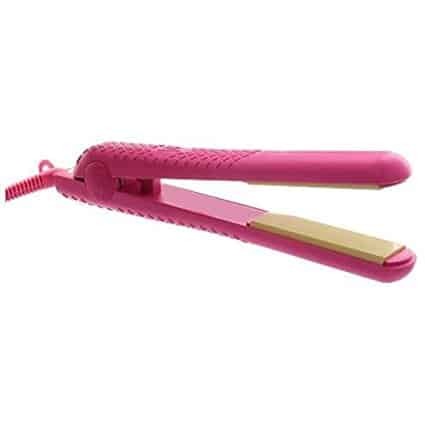 Herstyler Colorful Pink straightener 1 inch Titanium Hair Straightener is creating a buzz in the style town. You need to see this amazing tool! Its look is enough to explain its HerStyler straightener Reviews. Sleek and elegant design with hot pink colour. What else you could ever want! Herstyler Pink hair straightenerHeating plates are composed of solid titanium. 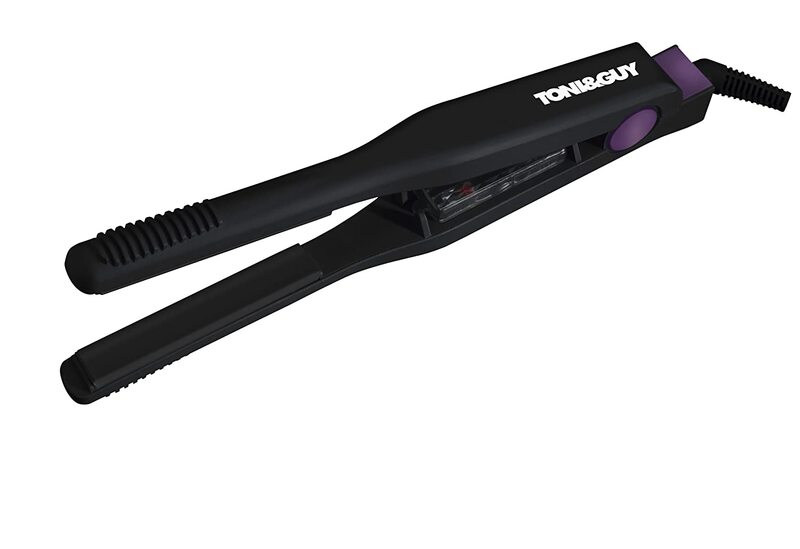 Due to high-quality titanium, the flat iron heats up quickly for satisfying your styling needs. The temperature control is adjustable. You can pick temperature between 200 – 460 degrees. It is a versatile range to cope with any hair texture, including short hair. Customers would recommend this product. Its also great for also creating perfect curls! 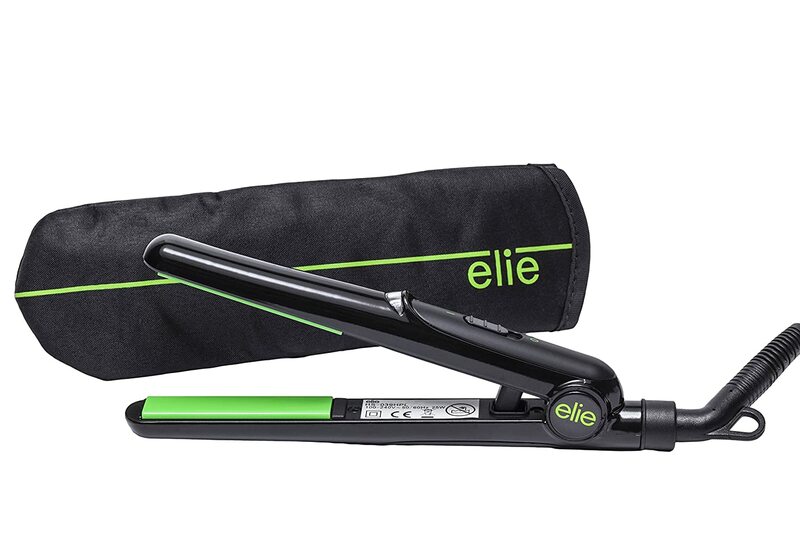 If your searching for a hair straightener best for styling your hair whether it’s to curl, straighten or simple give it that wavy look then the Elie mini travel hair straighteners will do the job. The curved edges of the straightener make it really easy to create wonderful curls, for styling shorter hair or just quick touch up's. A very versatile hair straightener on a whole, with a great user experience all round. The Elie Slim straightener has been designed to make a difference with its unique design and high safety standards.They strive to make a difference and to create high quality products that you will love using. To give you a helping hand buying your ideal pair of straighteners for short hair for your hair type we have gathered all the necessary information to help you choose the right hair straightener with our buying guide. There is a variety of plates available on the straightener market, but when you are purchasing for short hair its important to focus on the smaller and slimer types of plates purely because this will help you style your hair being able to get closer to the roots and being able to work with smaller sections at at a time. A straightener that comes with a 1" or smaller plate is classed as a small or slim straightener and would be perfect for your short hair. Although these are small they will work just as well on thick hair but simply using the straighteners slowly on smaller sections, try to avoid repeatedly going over the same spot as this is when damage occurs. Having adjustable temperature settings is essential to straighten short hair without causing damage. Not all short hair is the same hair type, it could be thick curly, thick wavy or thin curly, thin wavy or even a short afro, each hair type will need a different temperature too acheive the best outcome. Its suggested you use the higher temperature setting around 200c on the curliest or most wavy part of your hair, although if you feel you do have fine delicate hair even for the more curlier parts its reccomended to stay under 180c to prevent breakages. For any shorter weaker parts of your hair like around the neckline and fringes its important to change the straighteners setting down to the lowest available which is normally around 100c this is just enough to straighten or style those little whispy bits of hair but not enough to burn them off, (beleive me this does happen)!! This may be something that most people wouldnt think of when purshasing your straighteners but its really important as the heavier they are the more they become unsuitable for styling short hair. You dont need to purchase any other multi tool for your hair you can simply use your straightener to create your perfect curls, especially with shorter hair this is a much easier task, as there is less hair to work with. Learning how to curl with your straightener is easier than you may think, so follow our step by step guide below and enjoy your curls. The truth about styling tools and straighteners is that anything that put heat on your hair will cause damage one way or another, but by choosing the correct plates, material and temperture when you are choosing to continue and use straighteners this will reduce the risk of damage to your hair. With all the options out there, it can be nearly impossible to choose the right iron for you. For Short hair though, your best option is almost always going to be an adjustable temperature setting and a smaller width plate so you can get closer to the roots of your hair. We hope we have narrowed it down enough for you to be able to have an idea on which straighteners to choose for your short hair.